From September 7 to 9 more than 40 human rights experts from across Europe journeyed to the hilltop theological school of Halki on the Turkish island of Heybeliada. 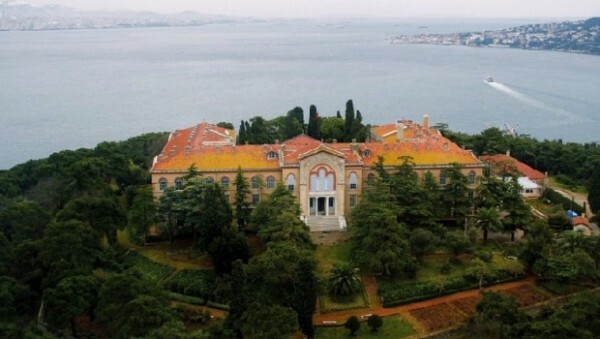 Once the heart of theological education for the Orthodox world, the school closed in 1971 as a result of a ban on private higher education in Turkey. Arriving by plane, train, and even by foot, participants discussed and debated approaches to advancing freedom of religion or belief. TParticipants were drawn from CEC Member Churches, civil society, academia, and the European Institutions. Topics covered included the need for religious literacy, the role of religion in the public and political spheres, the need for greater internal and external coherence of EU policies, and case studies on the Turkish context. The increasing severity of the refugee crises was named in many contributions made at Halki. The crises in Syria and Iraq, and the persecution of Christians and other religious minorities emphasise the urgency of advocating for freedom of religion or belief in Europe and beyond. As CEC continues its efforts at the European level, we urge Member Churches to continue their advocacy and dialogue with national governments to end the suffering and persecution of refugees and asylum seekers. The Turkish setting also informed discussions. In his opening remarks, CEC President Rt Rev. Christopher Hill KCVO, DD noted Turkey’s unparalleled generosity in welcoming upwards of 2 million refugees. Hill also remarked that freedom of religion or belief in Turkey remains a complicated issue. The ban on private higher education remains, the situation in Cyprus remains unreconciled, and relations with the Kurdish minority require healing. Participants also enjoyed a warm reception at the Ecumenical Patriarchate. At the conclusion of conference proceedings, participants released a statement as an outcome of their time together in Halki. Please click here for the full text of the statement. A publication featuring many of the contributions from Halki is forthcoming. To preview contributors and themes, please consult the final programme of the conference.